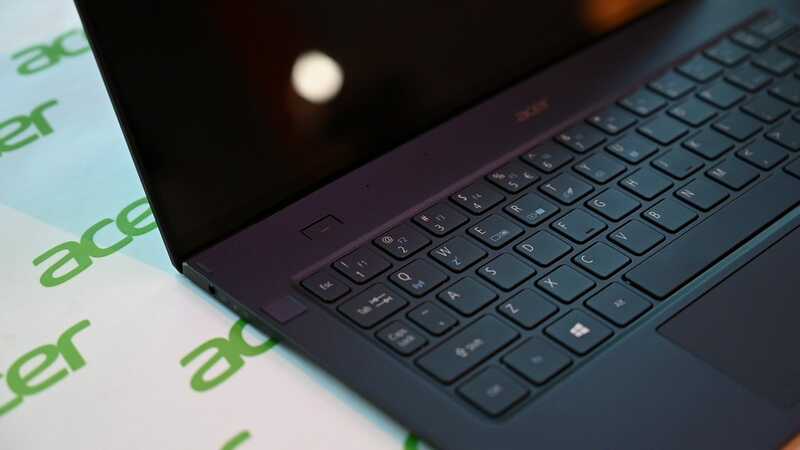 At some point, Acer is going to have to give up its yearly quest to make the Swift 7 just a little bit slimmer, but that time hasn’t come yet, because at CES 2019 Acer has once again triumphed over physics to create something stupendously skinny. 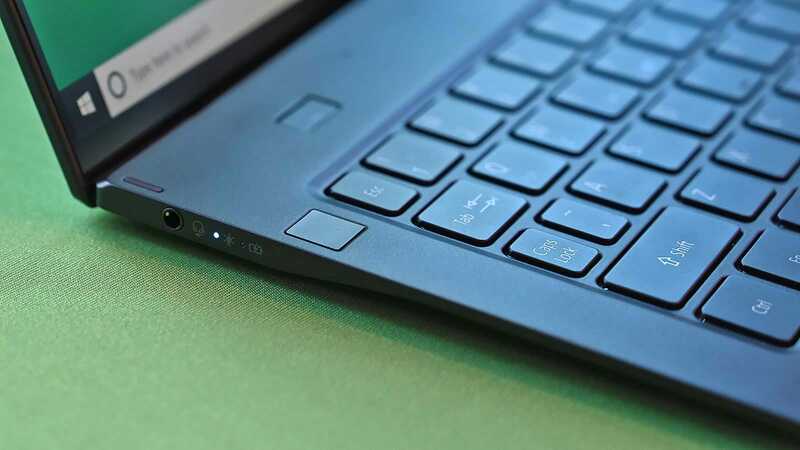 Measuring 9.95mm (0.39 inches) and weighing 1.96 pounds, the new Swift 7 surpasses other seemingly sleek systems like the HP Spectre and LG Gram in both thinness and lightness. Even when compared to a smartphone like the 8.8mm-thick Galaxy Note 9, the Swift 7 barely loses out. 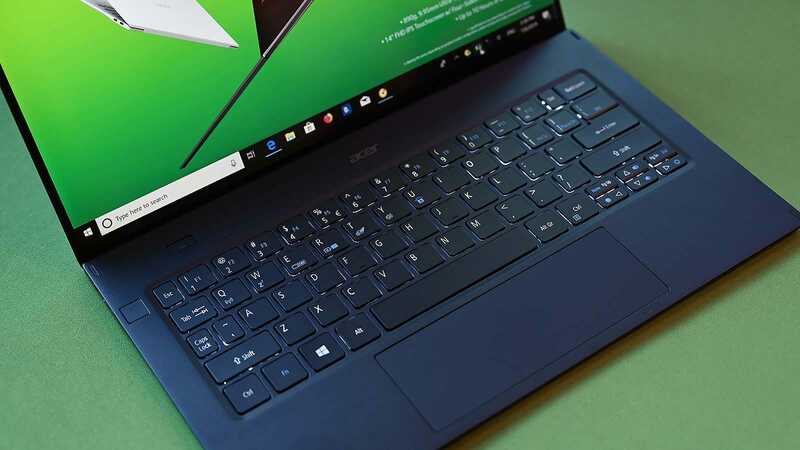 But the most impressive thing about the Swift 7 aren’t its sheer dimensions, but how Acer has still managed to build an unquestionably premium laptop within the system’s incredibly limited size constraints. Starting with its display, the Swift 7 features a 14-inch full HD touchscreen protected by a layer of Gorilla Glass 6 for better durability. 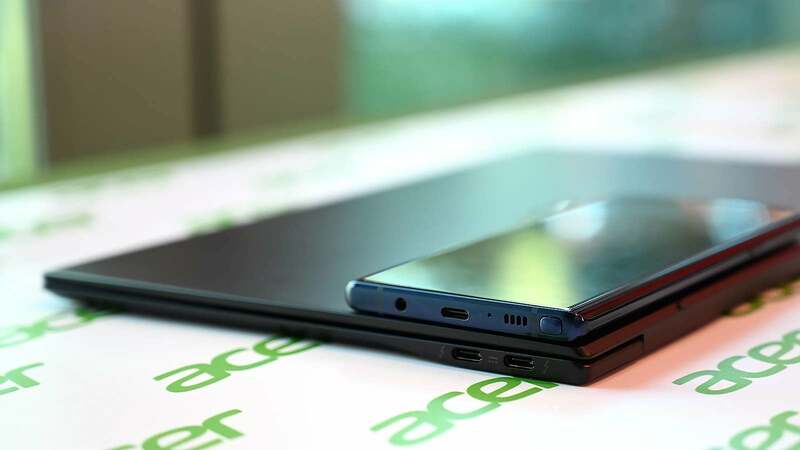 At the same time, Acer significantly reduced the Swift’s bezels (especially its chin), resulting in a screen-to-body ratio of 92 per cent. That’s just a short throw from 97 per cent seen on Asus’ new Zenbook S13, which had to do a little fudging with its numbers to get a ratio that high. The Swift 7's magnesium and lithium body has also been reinforced so it flexes less than the previous model. And while you can bend it if you try—which is essentially a given considering its thickness—when the Swift 7 is sitting on a table or even your lap, you don’t really notice. The biggest compromise on the Swift 7 is probably its webcam. 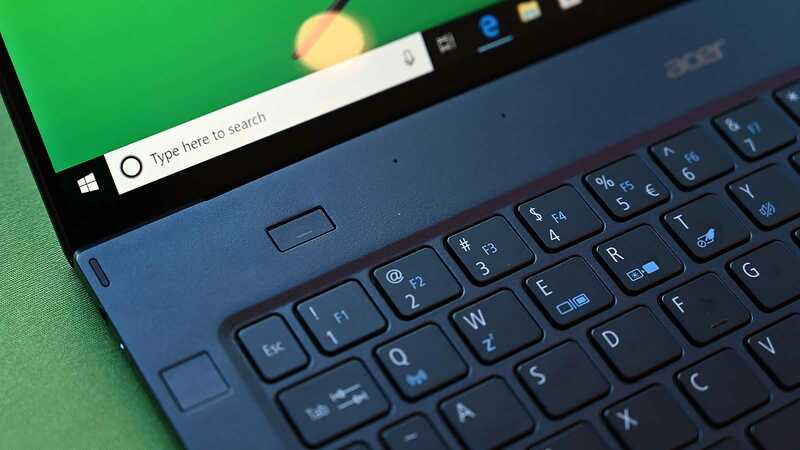 Because there’s no room above or below the screen to put a camera, Acer took some inspiration from Huawei’s playbook and gave the Swift 7 a pop-up webcam that sits between its keyboard and screen. That said, if you’re the sort of person who doesn’t do a lot of video calling, since the webcam is buried inside the Swift 7's chassis when not in use, the added sense of security might be an OK trade-off for people having to occasionally look up at your chin. 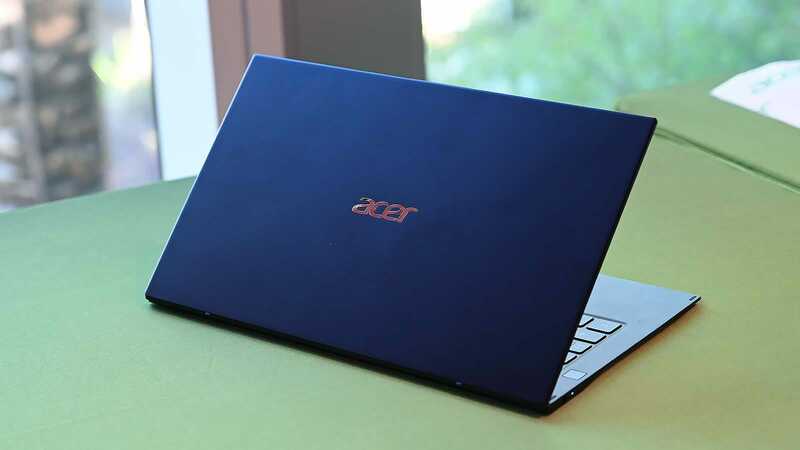 The slight adjustment Acer made to accommodate the Swift 7's thinness, is that instead of featuring a U-series Intel Core i7 chip found on a lot of premium laptops in this price range, Acer opted for an Intel i7-8500Y CPU instead, as the Y-series chip allows for a completely fanless design. 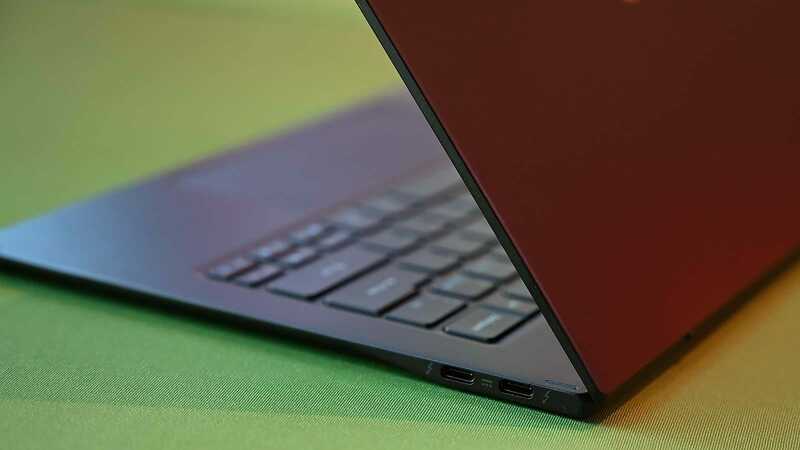 As for the rest of its specs, a standard Swift 7 offers 8GB of RAM and 256GB of SSD storage, two Thunderbolt 3 USB-C ports, a fingerprint reader, and possibly the widest touchpad I’ve ever seen on a laptop. 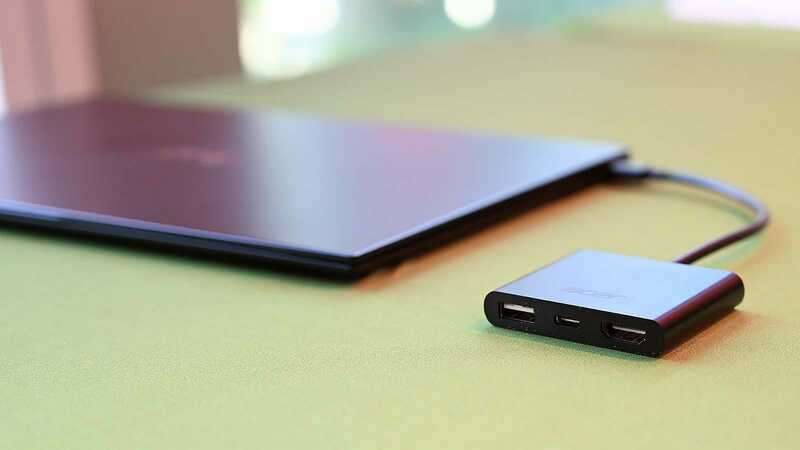 And while just two ports might sound skimpy, Acer makes up for the Swift 7's general lack of connectivity by including a dongle with a few more ports for free. 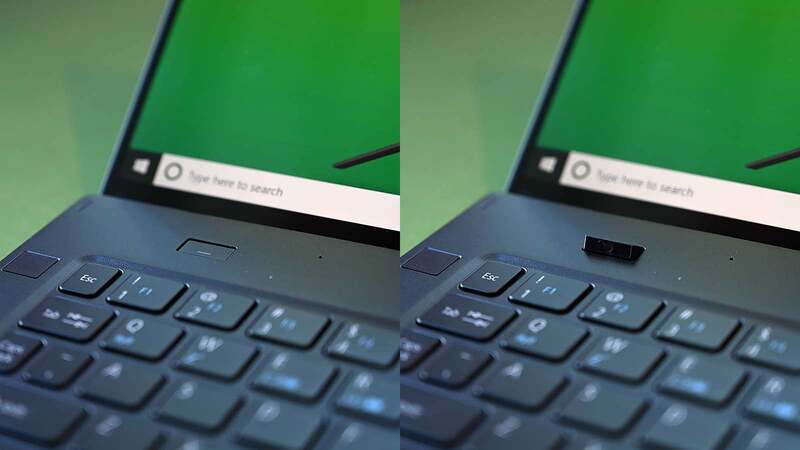 Look, I fully admit that shaving an extra millimetre off a laptop probably doesn’t have the biggest impact on overall usability, but the simple engineering expertise needed to do it is still quite impressive. And for the few who do value peak thinness and lightness, it’s nice to know something like the Swift 7 exists. The Swift 7 should be available in Europe in April, and in the US in May. US pricing will start at $1,700 (£1,344), with UK pricing and availability TBA.